A tremendous amount of awareness and interest was created this past year for content marketing, influencer marketing and an integrated approach to creating digital experiences across channels. There are over 700k search results for “content marketing” on Google News alone and over 90% of B2B and B2C marketers are using content marketing tactics according to the annual studies from CMI/MarketingProfs. To help satisfy the thirst and hunger for best practices in these areas, we publish articles, interviews, liveblogs and tool reviews. We also give presentations at industry events. Here are a few upcoming events in the first quarter of 2015 where you can learn more about the intersection of content and influencer marketing and how it all rolls up to a new trend we’re seeing: participation marketing. According to CMI and MarketingProfs, over 90% of B2B marketers are investing in content marketing. Yet, in an age of information overload where 74GB of data are delivered per person, per day (USC), standing out online to buyers can require unreasonable budgets and resources. Operating with a clear vision, ambitious goals and an appreciation for the power of influence, a growing number of B2B marketers are creating better quality content that gets shared more often, reaches more prospects and grows their influencer network – all at the same time. 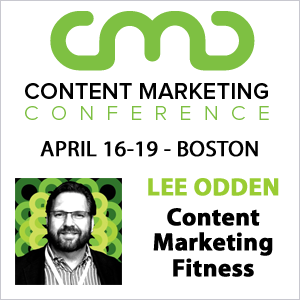 In this presentation on influencer and content marketing, you will learn the best practices, wins and misses of how Content Marketing Institute, MarketingProfs and LinkedIn have leveraged influencer content programs to attract and engage business buyers. Companies large and small are challenged to create original, engaging content for multiple social media channels. But what if you could increase both the quantity and the quality of your content without a boost in budget? 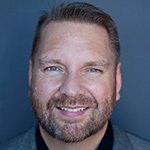 In this session, you’ll learn 5 content repurposing tactics Lee Odden (Editor of marketingblog.com and author of Optimize) has used to create thousands of content objects and help grow a network of over 300,000 with virtually zero marketing budget. Will you be attending any of these events? Be sure to say hello! Or Hallo!